You probably never considered the possibility that there might be more people interested in watching your alcohol-consumption and dance-routines than your friends or the handsome bartender, but times are changing. It has become increasingly difficult to keep one’s activities in the public sphere unrecorded. We have already grown accustomed to CCTV when we walk our city-streets, we use digital public transport cards that track our travel behaviour, shop with digital discount cards at our grocery stores that record the products we buy, carry smartphones that connect to the Wi-Fi-signals of the places we visit and we drive around using TomToms that continuously disseminate information about our whereabouts, routes and destinations. 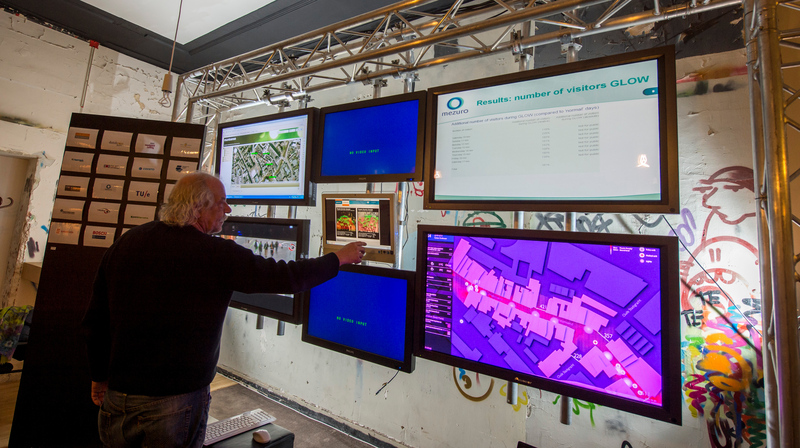 Now, in the city of Eindhoven, researchers are experimenting with monitoring the visitors of bars in the entertainment area Stratumseind in order to reduce the amount of violent incidents in the area. The possibilities of new digital, mobile information and communication technologies are redefining the meaning of the public and the private sphere. Moreover, privacy in the public is under duress. Our social norms of privacy are rapidly changing along with the fast development of new techs. This means that our expectations with regard to which of our personal data is collected are also changing. With the development of ‘smart cities’, in which the gathering of (personal) data is central to increased sustainability, efficiency and safety, one can imagine that the concept of ‘privacy in the public’ may go extinct. Yet, does that mean that we no longer need to or should care about our privacy in the public sphere? The city of Eindhoven is one of the leading areas in the Netherlands in exploring the potential of smart cities: cities that are increasingly able to respond to the needs of their inhabitants. 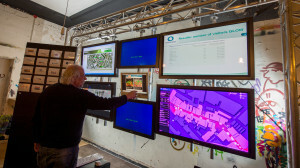 In several ‘living labs’, research projects in the public sphere, societal experiments are conducted in order to further the research on smart cities. One of these living labs is Stratumseind 2.0. 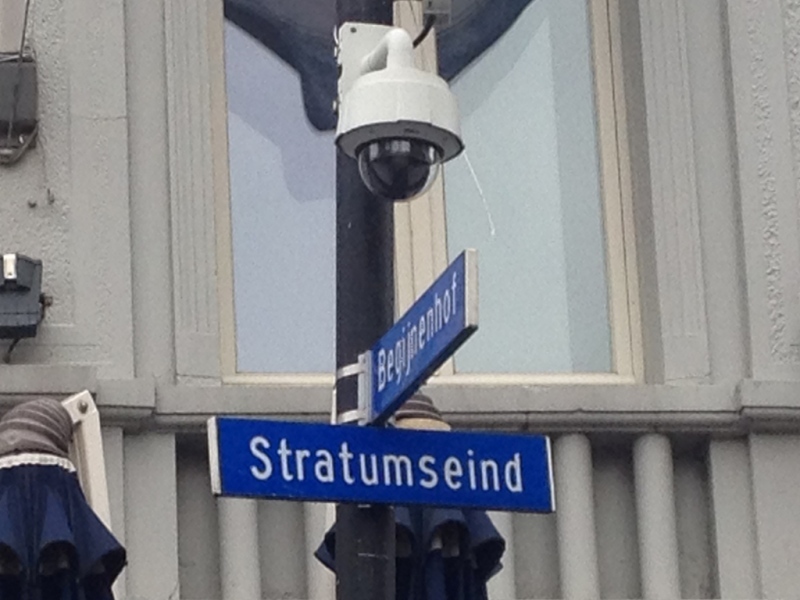 Stratumseind is an entertainment area as can be found across many cities in the Netherlands: one street with pubs lined up on both sides. However, the street is notorious for its violence. The police department of Eindhoven reports 800 incidents per year. In an attempt to reduce these numbers, a research consortium including the University of Technology Eindhoven, several enterprises and the municipality of Eindhoven, turned the area into a living lab. The researchers study the impact of light on human behavior and aim to use this knowledge to reduce aggression. The idea is to de-escalate potential violent conflicts by using dynamic light (and smell!) scenarios: by changing the intensity, color, spatial and dynamic use of light, researchers hope to find out whether and how they can predict and influence human behavior with light. The latter requires lots of data. The technologies are programmed according to various sorts of data researchers collect and combine. Using CCTV-cameras and sensors, researchers collect the following data: social interactions, social distance, behavior, police presence and activity; waste in the street; presence and activity of bouncers at cafes; police reports; RTR (Regional Surveillance of Public Space) camera footage (access restricted to TU/e researchers); sound level; weather information; parking density; beer consumption; people entering and exiting Stratumseind; social media posts; Vodafone data (including presence of phones, movement patterns). The collected data is monitored on several screens in a control room in one of the café’s. Although the project has already won several Safety awards for using Big Data in order to increase safety, it raises various questions with regard to the gathering of personal data. In De Volkskrant, Albert Seubers, one of the developers of the technologies, stated that privacy is handled very carefully and that Stratumseind is not something like Big Brother. Additionally, he pointed out that people have already given up their privacy by using smartphones and discount cards in grocery stores like Albert Heijn (AH Bonuskaart). Seubers concluded that the project handles the data in an ethical way, by blurring the faces of individuals. According to him, this project does not spy on individual citizens, but spies on the masses in which everyone is anonymized. Let’s first tackle Seuber’s main argument. According to him, Stratumseind cannot be compared to Big Brother, because individual citizens are not spied upon. Personal data is handled in an ethical way, because the faces of individuals are blurred. However, this argument contradicts statements Seubers made earlier. According to Seubers, the technological system, CityPulse, detects deviant behaviour. It can for instance detect a person who repeatedly walks up and down the street (a pickpocket or a person looking for his girlfriend). Therefore, immediate intervention is possible. That would suggest that tracking an individual is possible. Moreover, an aggregate of data or anonymized data can always be traced back to the individual and his or her personal data information. But, let’s assume for the sake of the argument that the system does only watch the (anonymous) masses. Would that not be problematic? I think there are some questions that remain. Anonymization does not equal an ethical way of handling personal data. First of all, one should question the overall legitimacy of surveillance here. Often, visitors of Stratumseind have no clue that they are being monitored let alone that they are experimental subjects. There is no information sign at the beginning of the street and visitors are not asked for their consent. Even if the collected data is anonymized, visitors should at least be informed and have the opportunity to consent or to refrain from participation, because their personal information is collected and added to the aggregate. By not having disclosed to them that their data is collected, visitors are deceived and manipulated. Additionally, from an aggregate of (anonymized) data, conclusions can be drawn about individuals, knowledge about their bodies and actions that individuals do not even have access to themselves. Remember the Target-case? In the case of Stratumseind, the aggregate of personal information is used to predict and influence peoples’ behaviour. Regardless of the anonymity, people may feel this is a violation of their privacy and, relatedly, their autonomy. Finally, it is still possible to detect and act on deviating behaviour within an anonymous crowd. Seubers mentions that regardless whether person is a pickpocket or not, it can never hurt to check upon someone displaying deviant behaviour. To me, this signals another very fundamental problem. It has become possible to collect information about anybody on an unprecedented scale. Big Data analytics promise that one can more accurately detect risks and consequently, can avoid or control harmful events. One of the foundations of our constitutional state entails that citizens are innocent until proven guilty, yet, by collecting information without informing and asking for the consent of citizens, citizens are investigated without probable cause. The fact that we can easily track and check does not mean we should track and check. In addition to the former, I’d like to say a few things about Seubers’ second argument that people have already given up their privacy by using smartphones etc. Using a smartphone, an AH Bonuskaart or public transport card does not mean that one has given up one’s privacy. As many philosophers have argued, privacy is not an off/on button, but a social dynamic. In every situation we reassess what kind of information we would like to disclose and access and to what extent. 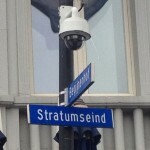 Someone who does not mind to share her shopping behaviour with Albert Heijn might still be worried by the police tracking her movements during a night out at Stratumseind. Whether someone is worried about her privacy depends on the way information is gathered, by whom, to what extent and to what end. Sometimes people care, sometimes they don’t. Also, many of those who don’t care might have cared once, but have accepted their defeat because they could not opt-out, change the conditions or could no longer be bothered to read a privacy statement of fifty pages that changes with every new update of the technology. Stratumseind is an interesting project. Nevertheless it is complicated by the cooperation of multiple partners with different interests. The collected data is used for different (future) purposes. Also, it is unclear where the data is stored, for how long and who has access to it. One can imagine that someone could agree to grant a scientific research team access to information about their alcohol-intake, but would feel reluctant to allow the police access to that information. Although safety is incredibly important, we should also care about our privacy as a social good. With the development of smart cities, we should continue to be critical of the collection and aggregation of personal data, because privacy in the public sphere is needed for a free society with autonomous citizens who can behave in deviant ways without being interrogated or nudged to change their behaviour, even if that would lead to more sustainability, efficiency or safety. If I show off my Beyoncé dance-moves on Stratumseind, I’d like not to be monitored let alone preventively halted or arrested because I appear to be a potential risk for public safety. Marjolein Lanzing and Bart van der Sloot (IViR, University of Amsterdam) are currently exploring the juridical and ethical aspects of the methodology of the ‘living lab’ in combination with the gathering of personal data under the working title ‘Living Labs: de stad als laboratorium en de burger als proefkonijn’.